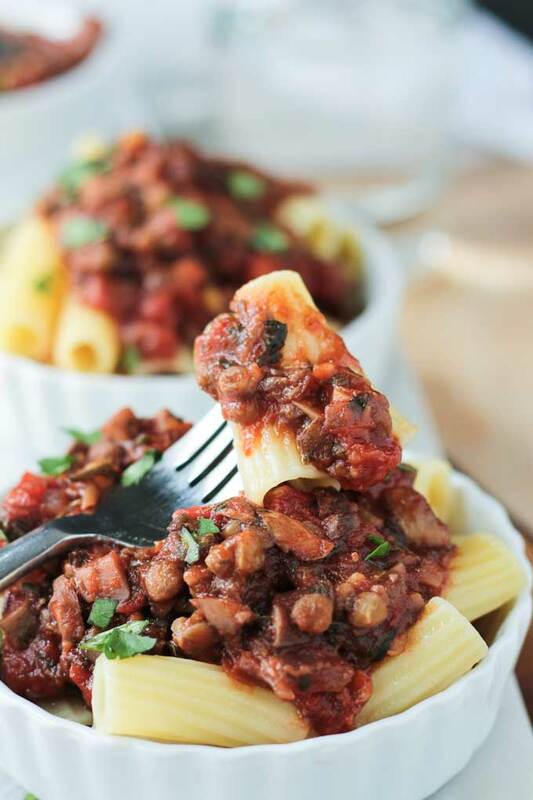 Healthy Bolognese, loaded with mushrooms and lentils, is hearty and rich. 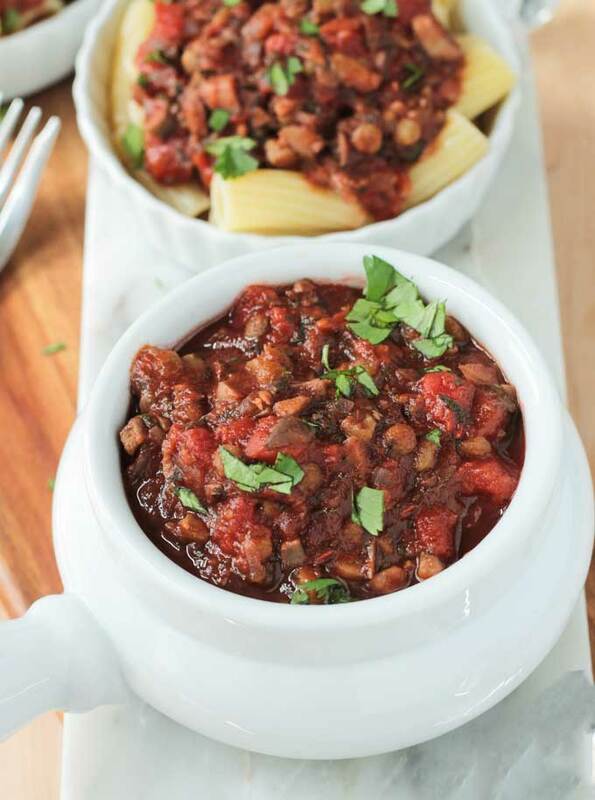 This meatless sauce is sure to please even the carnivores in your life. Pasta is one of my go-to’s. The whole family loves it. The kids will always eat pasta, no matter what. I try to make pasta meals healthier by serving it up with thick, hearty sauces. That way I can serve them less noodles, but they are still full and satisfied. 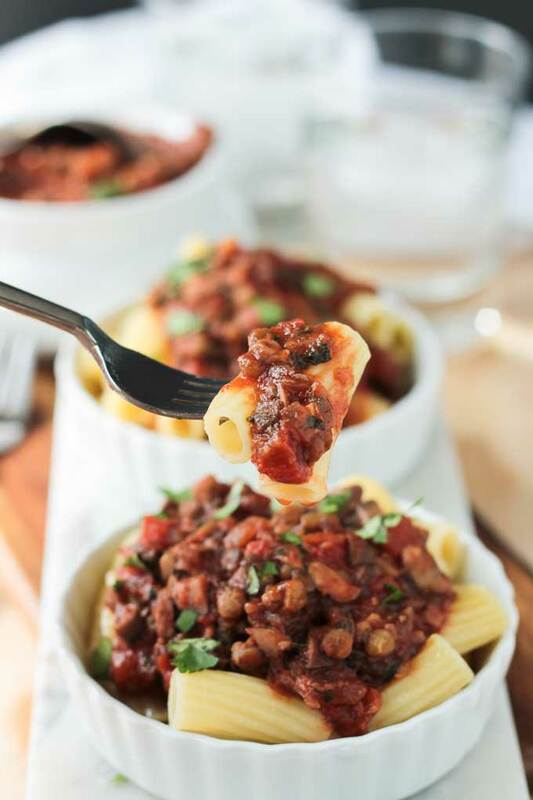 This Lentil Mushroom Healthy Bolognese is quite possibly the most often made recipe in my kitchen. I change up the kind of noodle I use quite a lot, but the rich “meaty” sauce is always the same. Done in just 40 minutes from start to finish, you could be calling it dinner tonight too! I’m pretty sure you all know by know that my son is not a fan of mushrooms. In fact, he thinks they are pretty gross. I didn’t like them when I was a kid either, so I’m still holding out hope that he’ll come around one day. Maybe you’re thinking that when I make this dish, he doesn’t eat it, or that I make him something else (<- that NEVER happens by the way). Here’s the reality – he has NO idea there are mushrooms in here! 🙂 In fact, he usually asks for seconds. I chop the mushrooms into a small dice about the size of the lentils. They are the same color and they kind of just blend in. They provide a nice “meaty” texture, but with the other flavors here, you really can’t taste them. 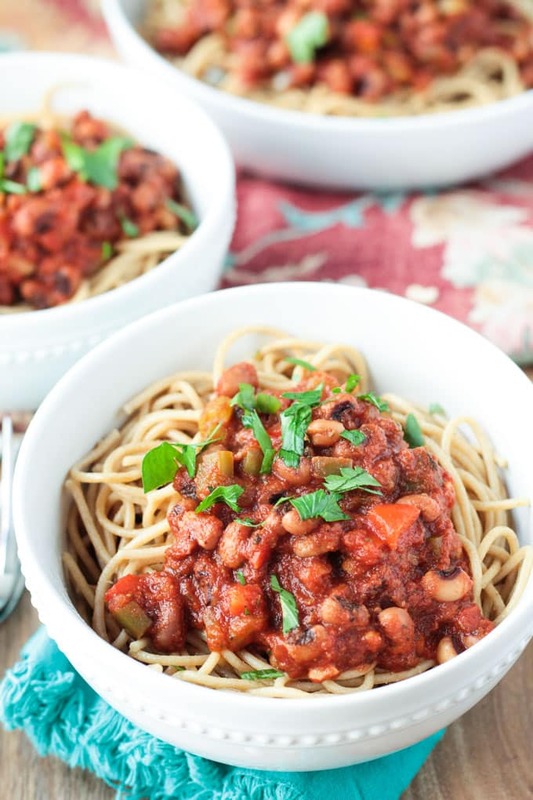 This healthy bolognese sauce cooks up in just 30 minutes. I use robust red wine, vegetable broth, balsamic vinegar and a little tamari to create great depth of flavor in very little time. Perfect for an easy weeknight meal or a fancy dinner for entertaining. High in protein, fiber, vitamins, minerals and antioxidants – you’ll want this dish on your menu every week. The sauce is great over baked potatoes, polenta, rice, zoodles (zucchini noodles), and of course, pasta noodles. It also freezes really well, so it’s easy to make a huge double or triple batch and have it ready for whenever the mood strikes. Don’t you want to just take a big bite of that! Mmmmm, it’s so good!! 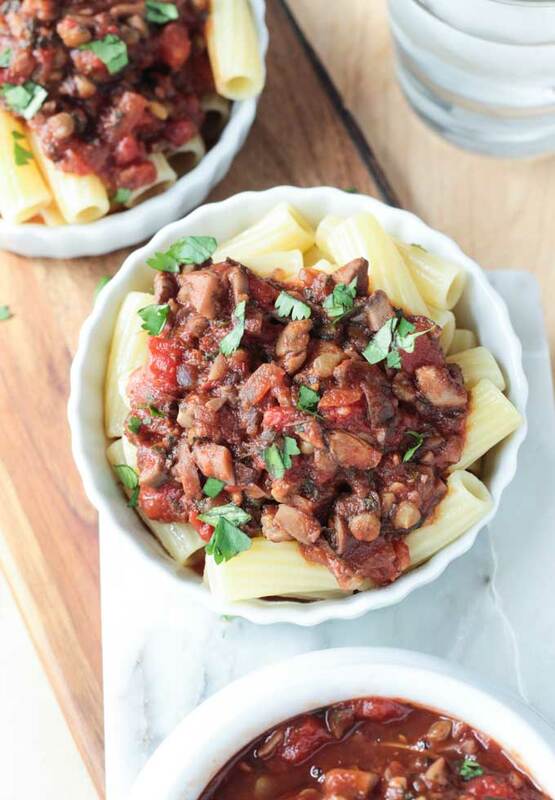 I can’t wait for you guys to make this Lentil Mushroom Healthy Bolognese! Please come back and leave me a comment letting me know how much your family loved it! Heat 1/4 cup vegetable over medium heat. Add the onion and saute until soft, about 5-6 minutes, stirring occasionally. Add the mushrooms and saute 7-8 minutes until soft and cooked through, stirring occasionally. Add the red wine and saute until no liquid is left, stirring occasionally. Add the crushed tomatoes, remaining vegetable broth (1/2 cup), balsamic vinegar, tamari and dried herbs. Sprinkle salt/pepper all over the top of the sauce and stir to combine. Add the cooked lentils and stir to combine. Cook another 2-3 minutes to heat through. Serve warm over your favorite pasta. I just made this for dinner tonight and my husband LOVED IT!!!! The flavor was fantastic!!! Definitely making this Bolognese sauce again and again. Thank you!!! That’s wonderful, Genny! Thank you so much! WooHoo! I hope you love it, Aimee! It’s my favorite pasta sauce! I started cooking my dinner a little early tonight so that I wouldn’t have to worry about it later… and I made this bolognese. The problem is I can’t seem to wait until dinner to eat it!! The house smells amazing and I keep taking “tastes” of it. There isn’t going to be any left by the time dinner starts! This is seriously yummy! Not to mention clean of salt and oil and full of good stuff! I highly recommend this recipe!! This will be a regular for me…even my non veggie eating husband and son liked it! Thank you so much, Christine!! I’m so happy to hear you loved it!! It’s been a staple around here for years! Um… I looked really closely, and triple-checked. There are no lentils used in this recipe. They’re in the ingredient list… but nowhere in the directions! I have literally never used lentils before, and stumbled upon your site while searching around trying to find something to do with the dried lentils I bought to try. The recipe sounds great and I can’t wait to try it… but do I just mix in the lentils at the very end, once the sauce is done? Or do they go in for the final 15 minute simmer? I’ve got no idea how ‘robust’ lentils are, so I don’t know if it would be obvious to most people that the lentils have to be left out until the very very end because they will fall apart if included in the simmer, or what. Little help? Hi, Dustin. Thank you so much for pointing that out. I just changed the directions. I’m so sorry for the confusion. But, yes, you just add the cooked lentils in at the end and then heat through for a couple minutes. I like to make a big batch of lentils early in the week and then I have them ready to add to my dishes when I’m ready. They are really so versatile! I hope you love this recipe. Please come back and let me know how it turns out! 🙂 Have a great week! Jenn, this looks so hearty and full of flavor! I love the flavor of mushrooms, just not the texture, so if they are all mashed up or pureed well, I’m all over that, I just never cook them because my hubby has to avoid them like the plague because they are a huge gout trigger. I can see why your son loves this, looks absolutely delicious! Pasta is a go-to in our house too, make it couple times a week! I remember you saying that about mushrooms before. 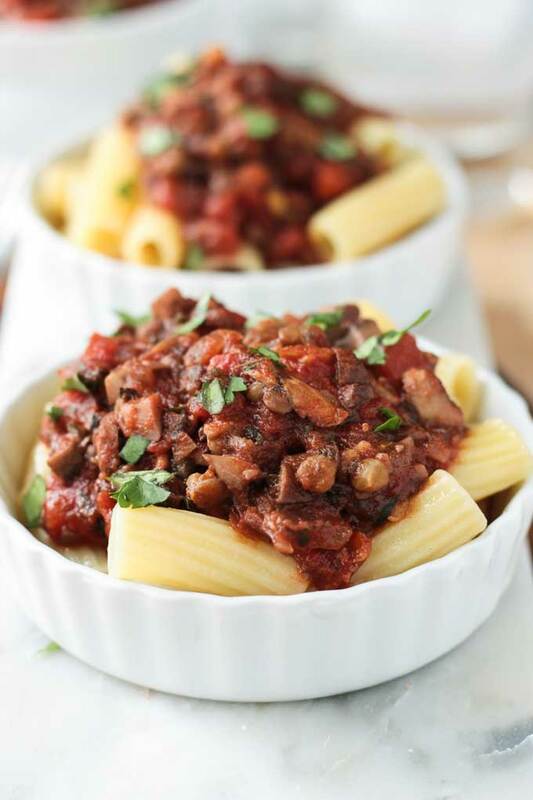 I have made this a few times leaving the mushrooms out completely and just doing the lentils (maybe an extra 1/2 cup cooked lentils)…its a hit that way too, but I definitely love the taste/texture the mushrooms give. Thanks, Brandi! You really don’t. LOL! I always have sauce left in the bottom of the bowl after my noodles are gone and it’s just as good eating by itself! Thanks!! Looks delicious, and I love mushroom! I hated mushrooms when I was a kid. Today, I love them! Very sneaky, Jenn. I did the same thing with certain foods when my kids where little. No shame in that. 🙂 This sauce looks delicious. What they don’t know won’t hurt them, right?! Thanks, Linda! My older three all hated mushrooms and have now come round to a sensible way of thinking and will scoff them down with glee – youngest is still to be converted! He will eat them all chopped up in a veggie burger, I’ll try him with this too! He loves a lentil bolognese, if I can hide mushrooms in there and him not notice I shall be delighted! Glad to hear your older kids have come around! I’m sensing a trend. Clearly mushrooms just aren’t kid food. Though my youngest two still seem to like them. They are 4…that’s about when my son started to NOT like them. So, we will see 🙂 Thanks, Chris! 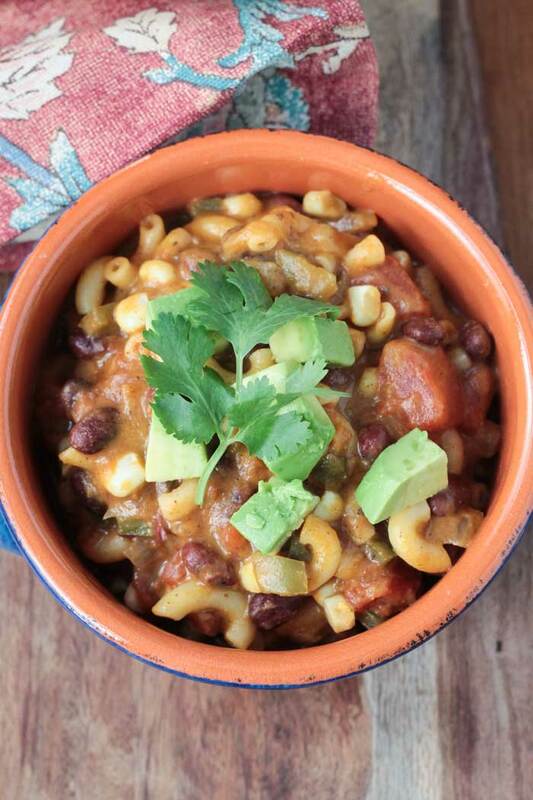 Oh, yes, we eat tons of chili too! Another favorite. Thanks, Lucie!! Thank you, Becca!! We eat it at least 3-4 times a month around here. And that’s a lot since I don’t often make the same things twice. I like variety! But, this one is always a winner! since this is the year of pulses, seeing lentils based dishes are making me happy and hungry! Yes! So exciting about all the pulses! We eat them pretty much every day! Thanks, Dixya! My son would actually love these, with big pieces of mushrooms. It’s crazy how much he loves eating them so this recipe would make him happy. Thanks, Nicole! Have you seen my Mushroom Pepper Steak? That one has big mushrooms…it’s so good!!! My son will pick them out if they are big, which works also…but this dish works so well with the small dice. Really lends to that “meaty” texture. 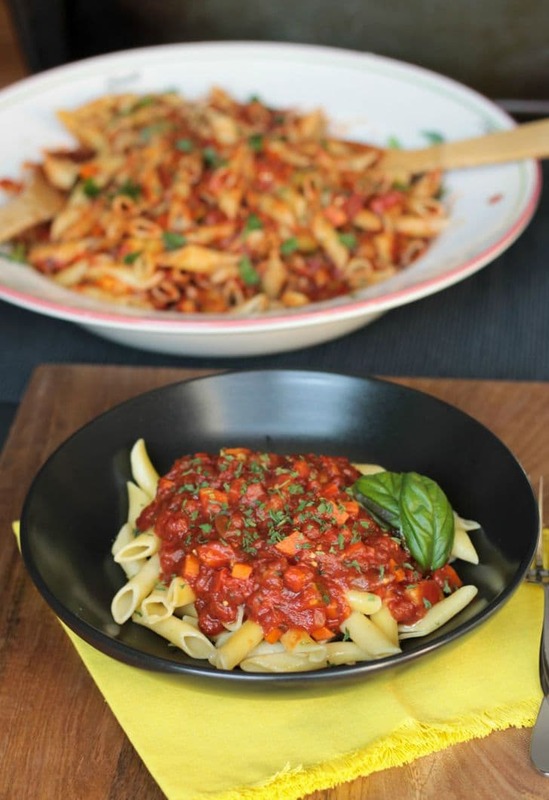 Lentil bolognese always goes down a treat here too and I love the look of yours! Even as a fan of mushroom, chopping them up so small to get an all-round meaty texture sounds delish. Thanks, Natalie! Yeah, I LOVE mushrooms and make plenty of things with big pieces, but I really do like them diced small in this dish. This would be a winner in my house too, everyone here loves mushrooms! It seems to be a theme here, I didn’t like them when I was little either but now I love them. That’s amazing that he didn’t even notice they were in here 😀 So sneaky, but the deliciousness of pasta and tomato is a good distraction! Me too, Rebecca! Let’s hope the trend continues!